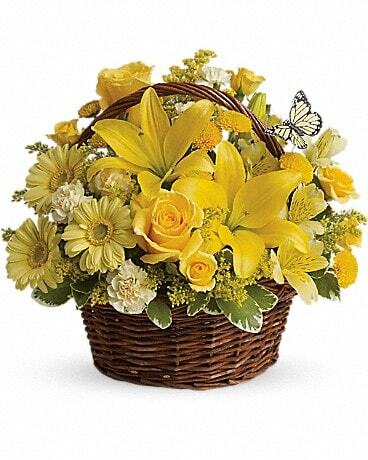 This delightful basket arrangement is so full of sunny blossoms. 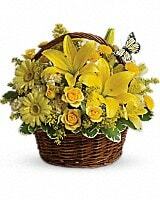 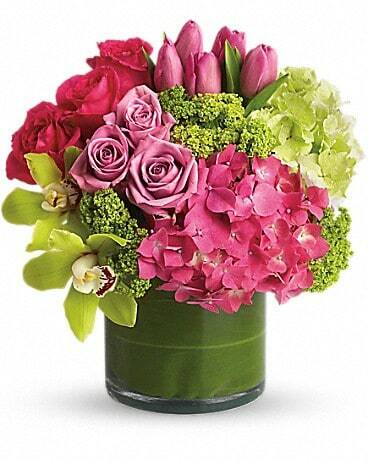 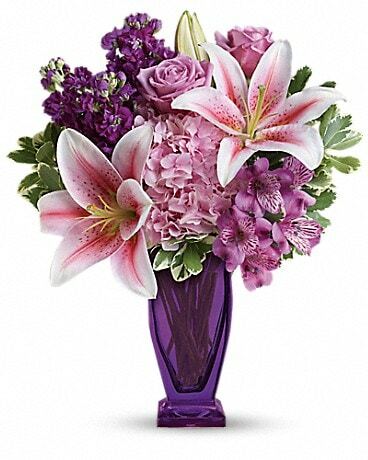 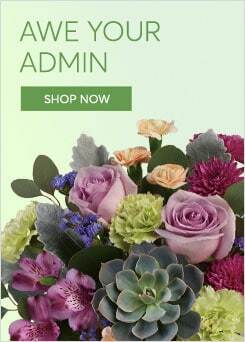 A great arrangement for any occasion. 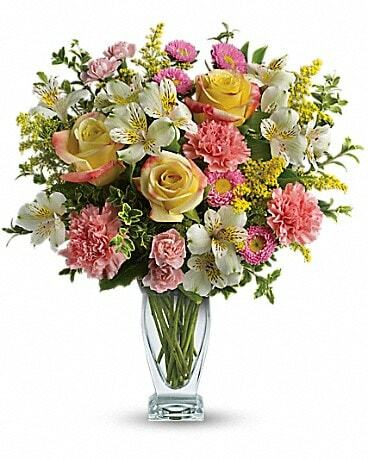 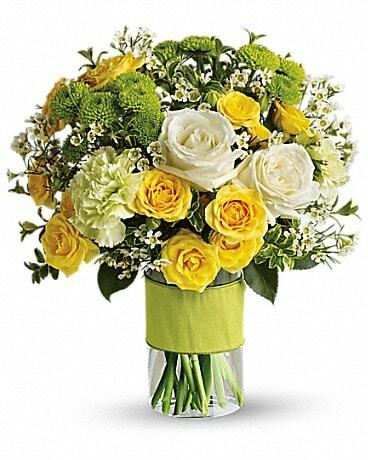 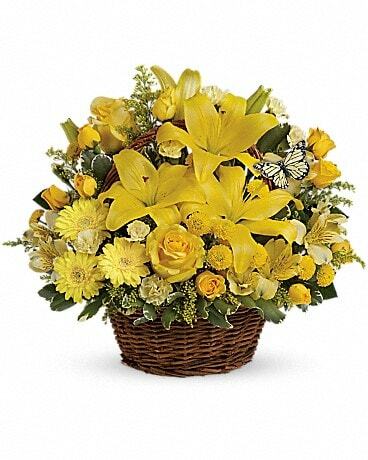 Bright yellow roses, asiatic lilies, miniature gerberas, carnations, alstroemeria, button spray chrysanthemums and delightful greenery are arranged in a basket.